Xiaomi has launced new range of smart TVs along with a wide range of ecosystem products in India. Mi LED Smart TV PRO series announced by Xiaomi comprises of Mi LED TV 4 PRO (55), Mi LED TV 4A PRO (49), and Mi LED TV 4C PRO (32). All three Mi TVs sport a new and refined version of PatchWall based on Android 8.1 Oreo. Mi LED Smart TV PRO series is successor to the Mi LED Smart TV series which sold more than 500,000 units in nearly six months online as claimed by Xiaomi. The new generation of Mi LED TVs come with Xiaomi’s own PatchWall interface specially designed for India which is based on Android Oreo. It brings together more than 14 different content partners, both local and global, resulting in over 700,000+ hours of content, across the largest library of Video-On-Demand providers. Some of the top content partners being Hotstar, Hungama, Sony Liv, Woot, Eros Now, Zee5 and some new content partners added are Jio Cinema, Hooq, Epic ON. Amazon Prime Video will also be available soon on Patchwall. Amazon Prime Video has the one of the largest selection of latest and exclusive award-winning movies and TV shows, ad-free across various categories including award winning Amazon Prime Original shows like Inside Edge, Breathe, The Remix, Comicstaan etc. Backed by Android TV, users will be able to install their desired apps on Google Play, watch YouTube videos and fully utilize features such as Chromecast built-in and Google Voice Search. Mi LED TV 4 PRO (55) features a 55” LED display with a 3840 x 2160 4K HDR panel and adopts a minimalist design, with an ultra-thin 4.9mm profile. It is claimed to produce vivid images with vibrant colours and comes with a dual 16W stereo speaker set-up boasting DTS-HD surround sound for an immersive cinematic experience. Mi LED TV 4A PRO (49) has a 1080p Full HD resolution and Mi LED TV 4C PRO (32) sports a 32” 1366 x 768 HD panel All models feature the simple 12-button Mi Remote for a great operating experience. Mi LED TV 4A PRO (49) and Mi LED TV 4C PRO (32) are priced Rs. 29,999 and Rs.14,999 respectively, and will be available via Amazon.in and Mi.com starting 9th October, 9 PM. 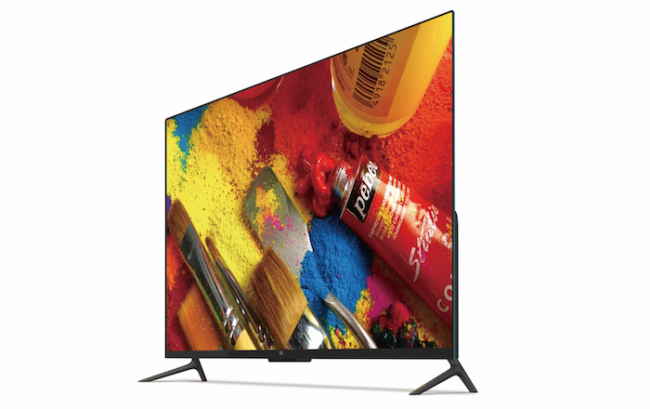 Mi LED TV 4 PRO (55) is priced Rs. 49,999 and will be available starting 12 noon, 10th October via Flipkart and Mi.com.